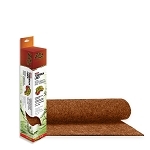 Home > STORE > BEDDING > EXO TERRA SAND MAT - TERRARIUM LINER - MINI, fits 12" x 12"
The Exo Terra Sand Mat has a natural desert appearance and can be applied as a safe & hygienic substrate substitute for your reptiles. 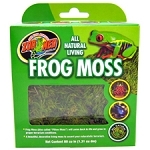 The Sand Mat allows you to create a desert-like environment with a minimum of bacterial build up. 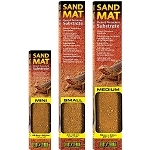 Unlike loose sand or soil, the Sand Mat cannot be accidentally ingested. 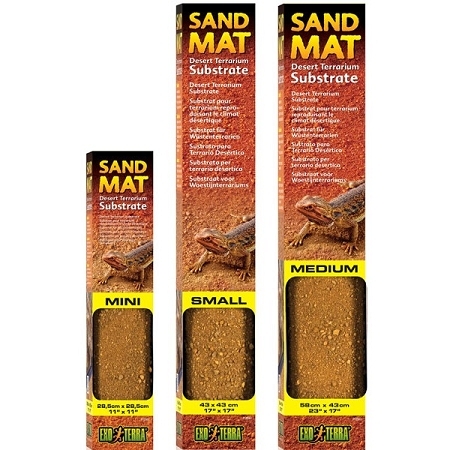 The texture of the Sand Mat enables your reptile to have a firm grip on the substrate, increasing your reptile s sense of safety and comfort. Simply rinse clean when soiled or replace as necessary.